Monoject Leur Syringe Tip Caps (100 Count) fits Regular Leur Tip and Luer Lock Syringes. Used by vets to store the remaining doses of 10 Dose vaccine vials once any doses are used out of it to prevent containination. Since these tips are sterile your single doses of vaccine remain uncomtaminated and ready to use. Store single dose loaded syringes in your refrigerator for later use. 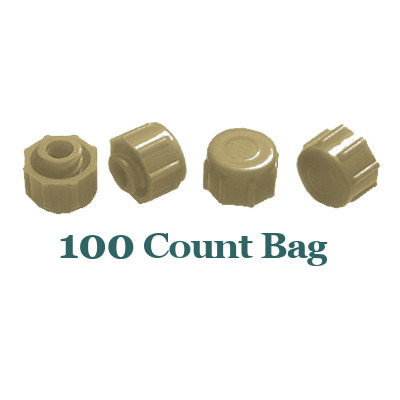 100 Sterile caps per bag.